The European and International standard covering post-fabrication hot dip galvanizing of steelwork I.S. EN ISO 1461 : 2009 Hot Dip Galvanized Coatings n Fabricated Iron and Steel Articles – Specifications and Test Methods, covers the galvanizing of steel fabrications, sections and castings in a bath of molten zinc containing a minimum of 98% zinc. The standard excludes products processed by an automated process such as sheet, wire and tubes. A degree of uniformity of coating thickness over an article with the emphasis for testing being placed on non-destructive techniques. Initially a visual inspection is conducted to access surface finish. 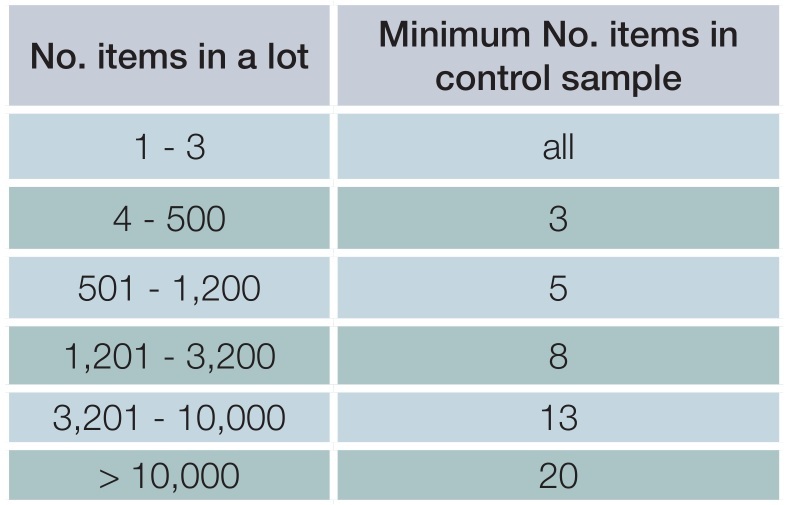 The standard then lays down a post-galvanizing inspection regime indicating the minimum number of samples which should be taken for inspection based upon the size of the lot galvanized (Table 1). In addition, it also gives guidance upon the number of areas in an individual article from which batches of coating thickness measurements should be taken (Table 2). For articles in category A the average coating thickness in each reference area should meet the Average Coating Thickness Requirement. For articles in categories B-D the average coating thickness in each reference area should meet the Local Average Coating Thickness Requirement. The standard encourages coating thickness to be determined by non-destructive methods such as the use of a magnetic coating thickness gauge (ISO 2178) although the Gravimetric Test (ISO 1460) which is a destructive method remains the referee test in cases of dispute. The galvanized coating should be continuous, relatively smooth and free from flux staining. The coating does not need to be perfectly smooth and some surface unevenness is permissible. In addition, the standard has no aesthetic requirements and consequently variation in coating appearance is permissible. The presence of zinc corrosion products known as wet storage stain formed if the coating becomes damp and is unable to fully dry out is also not grounds for rejection provided the coating meets the local average coating thickness requirements (see Table 3 and 4). Coating thickness requirements are given in terms of Local average coating thickness requirements (relating to single reference areas) and Average coating thickness (relating to the whole article). In effect this means no areas of an article should have an average coating thickness below the Local average coating thickness requirement while the average thickness over the whole of the article should meet the Average coating thickness. Details of coating thicknesses requirements are given in Tables 3 and 4. The standard permits repair on uncoated areas up to 10 cm2 in size with the total areas for repair not exceeding 0.5% of the article`s total surface area. If larger areas are present, the article should be regalvanized unless a repair is agreed within the supply chain. The three means of repair are a zinc-rich paint/paste, a low melting point zinc stick and zinc thermal spraying (ISO 2063) with the repair coating being made up to a minimum thickness of 100 μm or equivalent level of surrounding galvanized coating if the article is to be subsequently painted or powder coated. The standard states that at present no suitable International adhesion test exist for hot dip galvanizing and so where testing is required this should be agreed within the supply chain and reaffirms that such testing is not normally necessary as good adhesion, or more correctly, cohesion, is a characteristics of the coating. 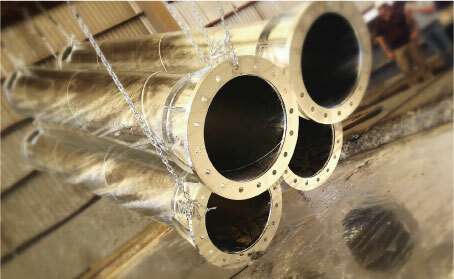 The coating should withstand, without peeling or flaking, handling consistent with the nature and thickness of the coating and normal use of the article although it should be appreciated that thicker coatings may require more careful handling and that bending after galvanizing is not considered normal handling. If the control ample meets the surface finish and coating thickness requirements of I.S. EN ISO 1461 : 2009 then a lot from which the control sample is taken is accepted in total. If a control sample fails to meet coating thickness requirements, then double the original control sample size is taken for testing and if this meets standard requirements then the lot as a whole is accepted. If this second control sample fails to meet standard requirement, then the lot is rejected. A certificate of compliance (ISO 10474) would normally be available confirming that the work processed met the requirements of I.S EN ISO 1461: 2009.